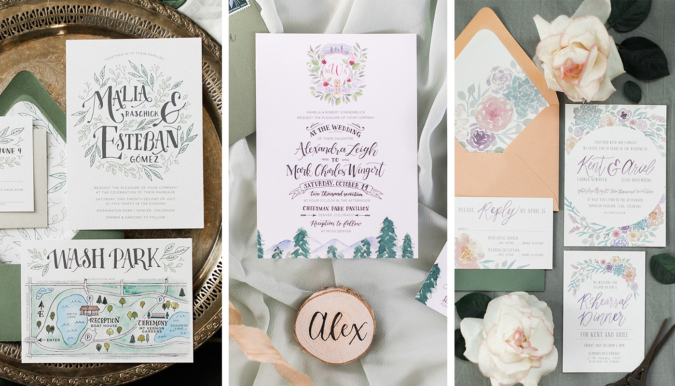 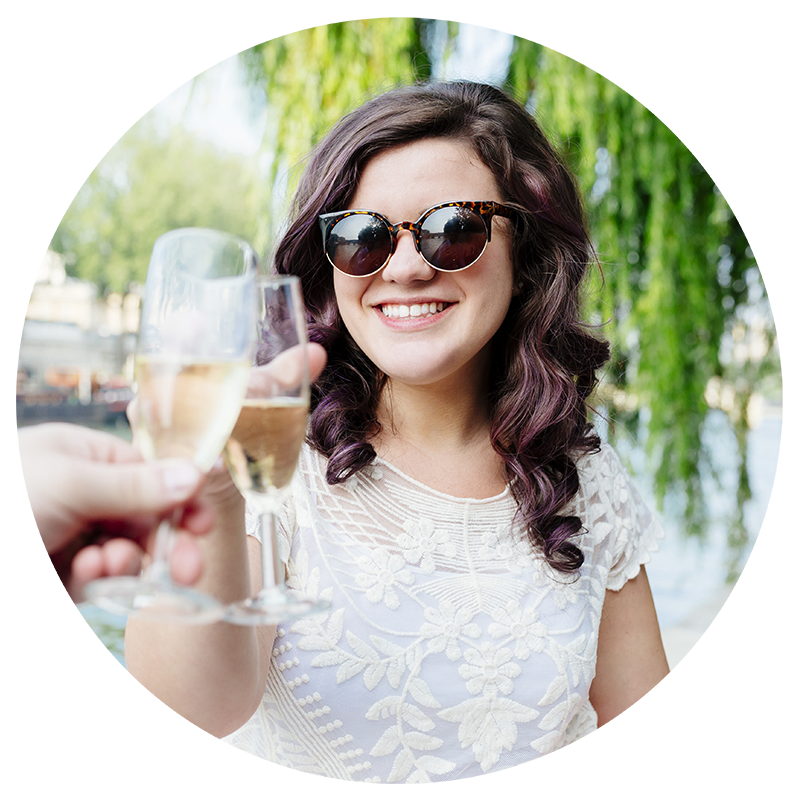 Alex & Mark’s invitation suite was the epitome of custom design – incorporating both of their fun personalities as well as some of my person favorite design elements! 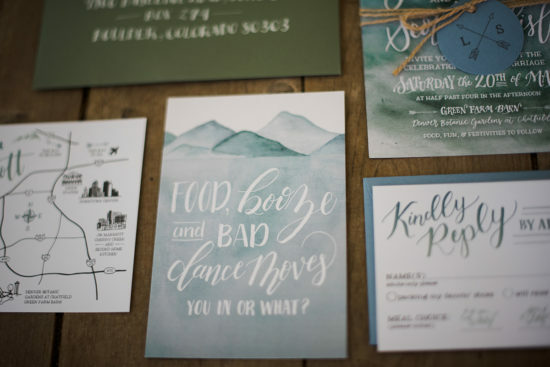 A painted watercolor crest with their dog, Barley, the Denver skyline, and a touch of hops for brewer, Mark, was the main focus of the suite. 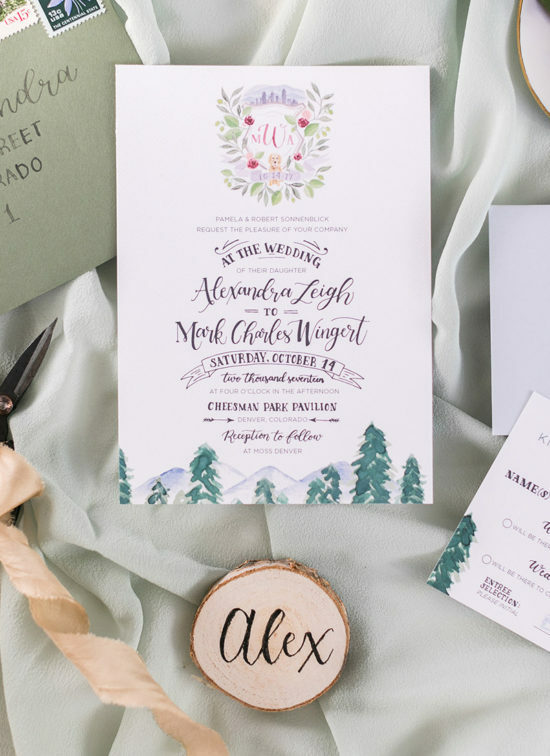 This comprehensive wedding crest paired with eclectic hand lettering, as well as watercolor mountains and evergreens created a vibe that was both playful and truly inviting for their very personal, Denver wedding. 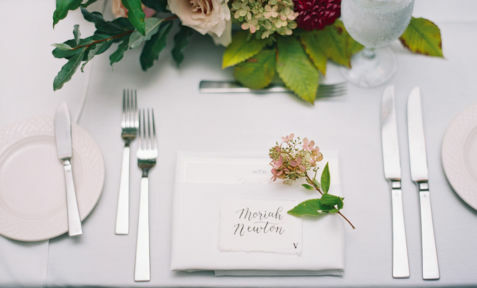 Stay tuned for more of their lovely wedding details to hit our blog soon! 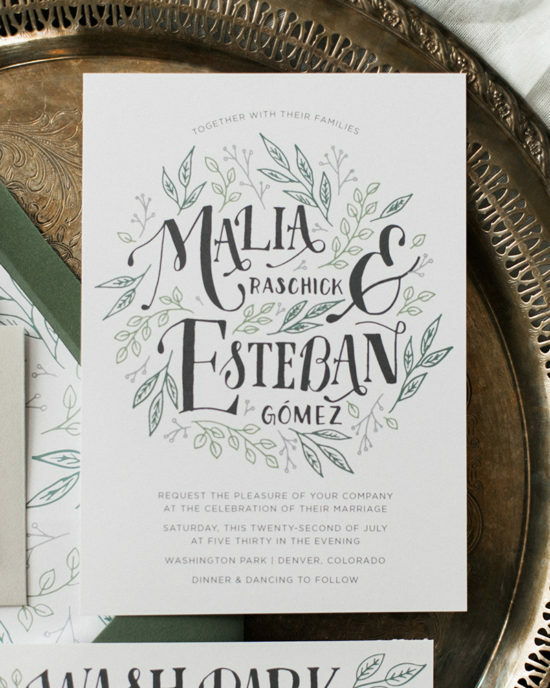 For Malia & Esteban’s laid-back park wedding, we designed an invitation to compliment their picturesque but relaxed setting. 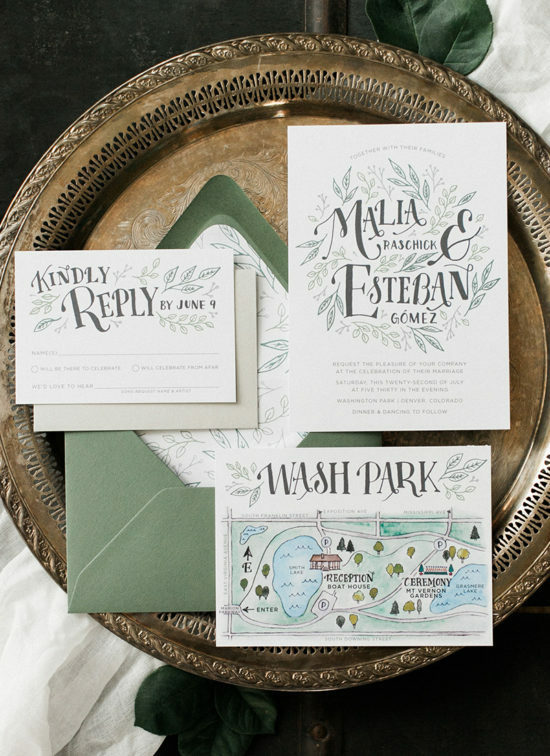 Botanical illustrations in muted green hues interwoven with hand lettering set at one that was both fun and organic; complimented by crisp, modern typography on the rest of their suite. 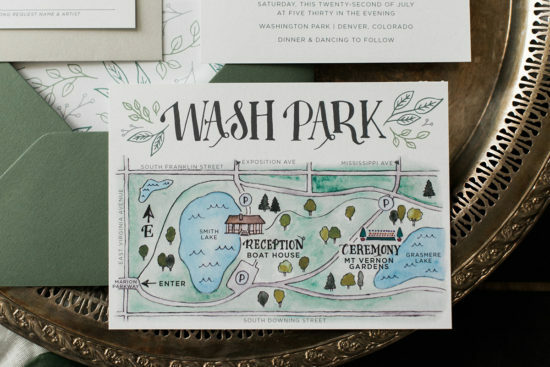 My favorite part of their custom set was this hand-painted watercolor wedding map of Denver’s beloved Washington Park! 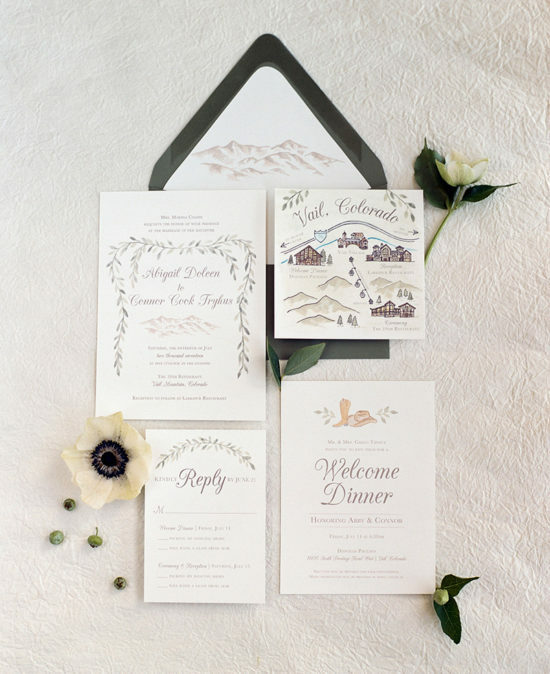 For Abby & Connor’s wedding invitation suite we wanted to incorporate the mountains of Vail as well as components of organic, draping greenery to mimic their reception decor plans. 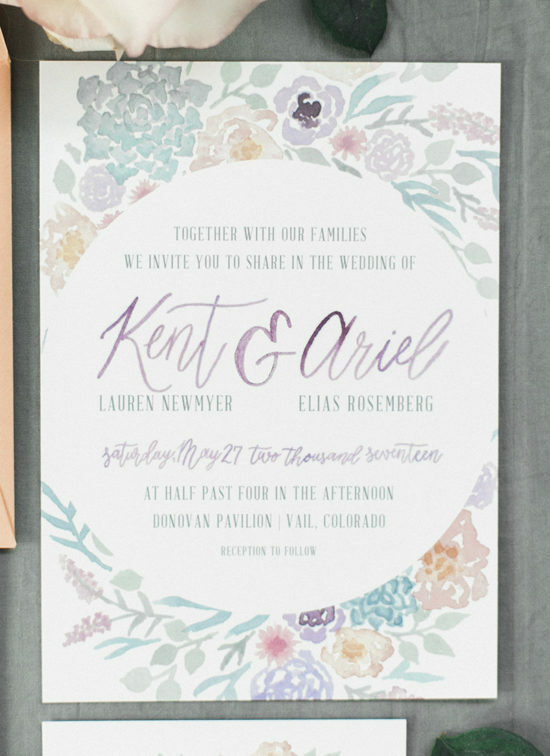 We landed on soft watercolor painting of both of these elements, paired with a mix of traditional fonts for an organic and elegant result. 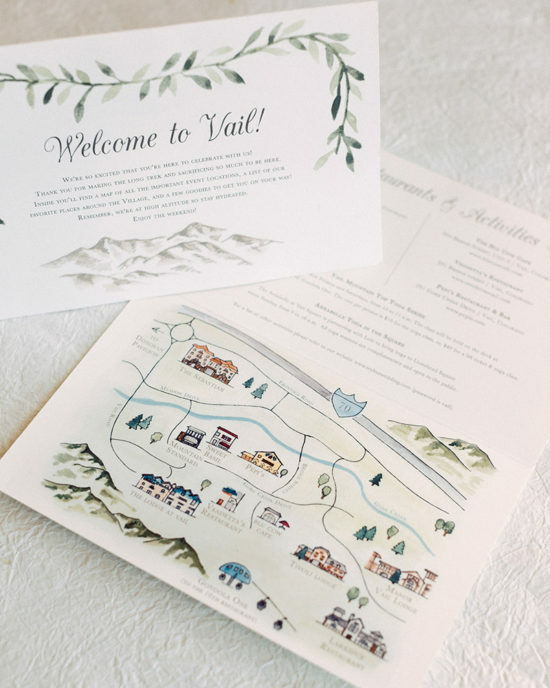 To further entice guests with their mountain destination, we also painted a lovely map of Vail, highlighting their wedding weekend venues. 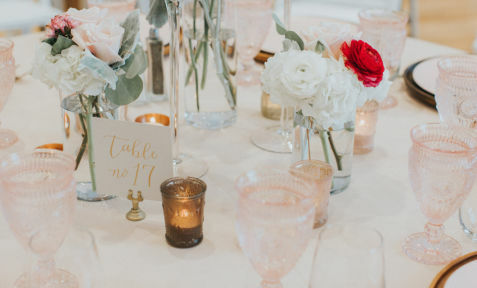 See more details from this Timeless Mountain Wedding in their blog post. 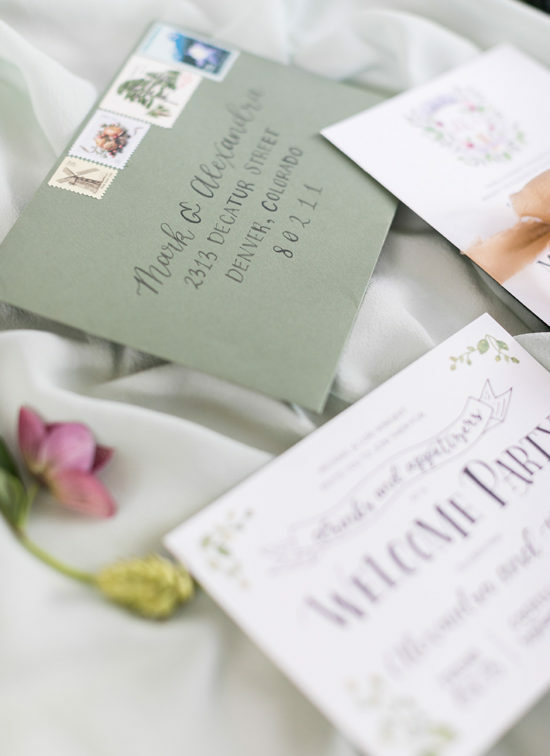 For Lisa & Scott’s stationery we played into their soft, earthy color palette with watercolor washed mountains and color gradients. 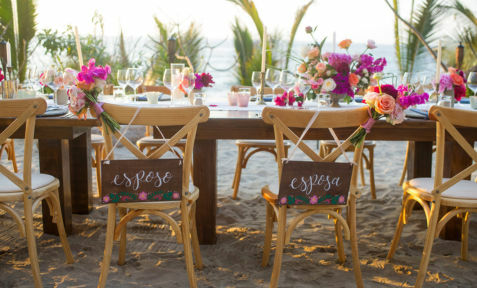 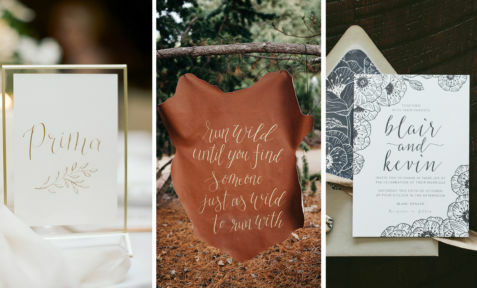 We layered these softer components with fun, eclectic hand lettering throughout. 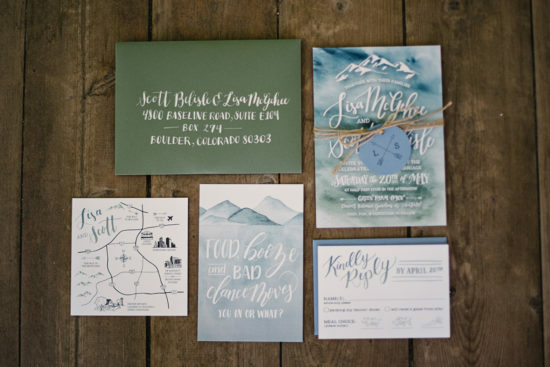 This quirky theme was continued with a hand illustrated map of the Denver area, as well as a super fun cassette tape drawing on the back of their reply cards to collect guests’ song requests! 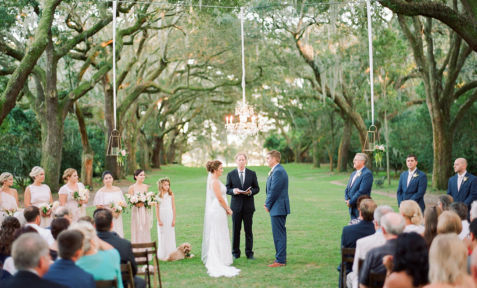 See more of their Cheerful Barn Wedding in this blog post. 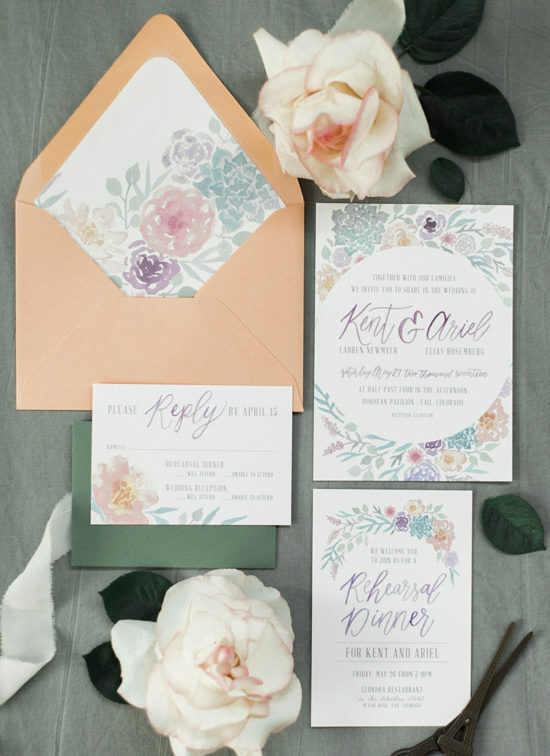 We designed Kent & Ariel’s bright & colorful invitation suite with their bohemian floral palette in mind; watercolor painting bright, bold blooms with softer succulent accents. 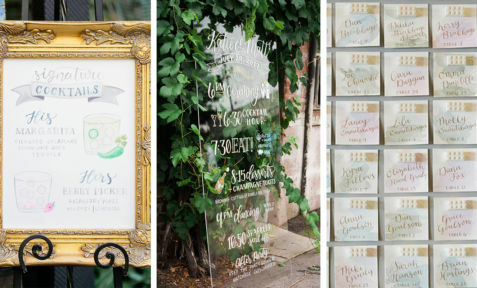 These hand painted details were carried through to their wedding day with welcome booklets and vibrant ceremony programs – which you can see more of here.